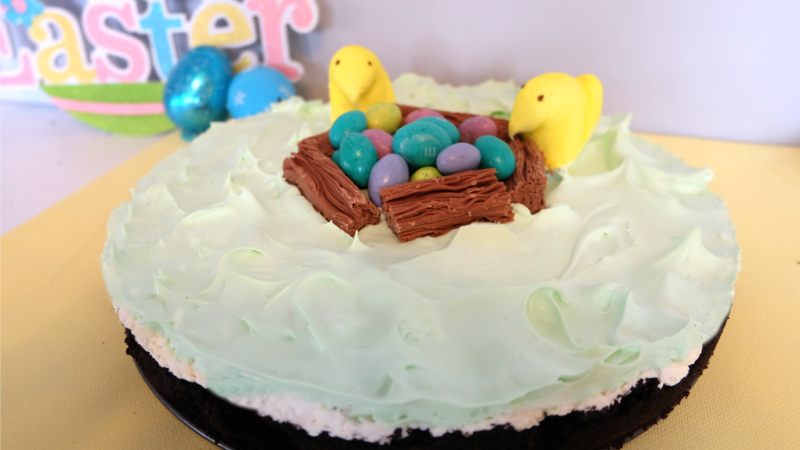 Easter Decorating Ideas – With Candy! Easter is on it’s way! With Easter comes warmer weather, spring colours and lots of decorations. Since some of us are experiencing very cold or muddy weather, it’s nice to put together a bright and cheery Easter project. This week we are bringing you a different twist on home decor by using candy as our main element! The candy available now is pretty in itself, why not use it for more then it’s intended? Keep reading to find out how you can use candy in your decorating with these Easter Decorating Ideas – With Candy! All of the materials for these decorating ideas came from the local dollar store. I wanted to stay on budget for these since they can’t be used year after year. Going down the isles I quickly came up with a few DECORATING IDEAS that worked with my current home decor. A clear cylinder vase, two cute ceramic bunnies, a couple of different jars and some pink flowers were perfect. The candy didn’t take very much thought, although I was looking for some pastel coloured marshmallow bunnies and I forgot the chocolate bunny I had in mind! But overall, I’m happy with the way they look. Let’s see these beautiful Easter Decorating Ideas – With Candy now! These Easter jars are very easy to create. All you really need to do is arrange the candy inside of the jar as you see fit and add any elements on top. I used a ceramic bunny in a vase and some flowers in a mason jar as well as ‘carrot’ coloured jellies in a small jar. You could also use a chocolate bunny in the vase as well, with another smaller one in the mason jar. Arrange the jars and vases as you see fit. They can be used together or separate. Consider using a candle stand to raise one of the jars to give the arrangement some depth. How will you arrange your Easter Candy Decor? Send us a picture of how you’ve arranged yours and you could be featured on our website and Facebook page! 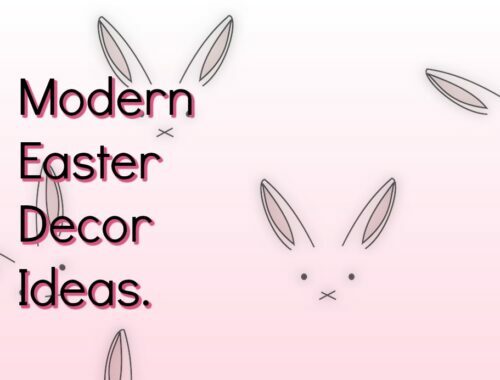 Need more Easter decorating ideas? We have lots, like our Cute Easter Hand and Footprint Canvas Critters, Punny Carrot Easter Art, 7 Great Printables for Easter or our adorable Critter Treat Jars!